Happy 2018 everyone. We’re back after our new year break. Expect more news, reviews, interviews, videos and more as the year gears up. I’ll get right into it – there’s been a huge amount of retro gaming news over the last few weeks…and this is just the start! In case you missed it, a movie version of the classic Atari arcade game Rampage is set for release laster this year. Starring The Rock (of course), the movie’s second trailer was just released today. Check it out (and the first trailer from late 2017) below. 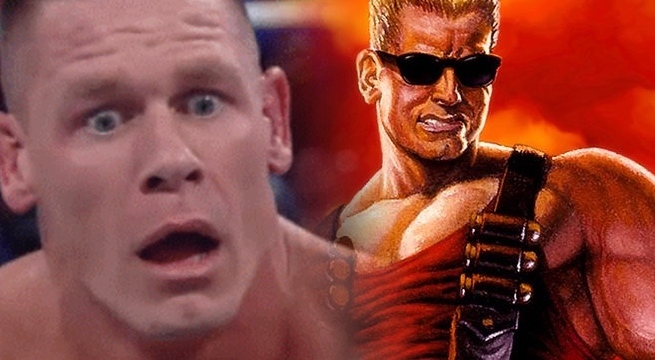 Talking about video game movies, there’s breaking rumours that John Cena is up for starring as the titular character in a Duke Nukem movie (links: Kotaku, Hollywood Reporter, Comicbook.com). In a convoluted series of events, Paramount Pictures have picked up the rights from Gearbox Games after Dimension Films option to create the film lapsed. It appears that Michael Bay’s Platinum Dunes company is set to produce the movie…hmmm. Long time Duke voice actor Jon St John isn’t greatly enthused by this news, and a change.org petition has already been set up (not by Mr St John) hoping for the creation of a CGI movie with Jon St John’s voice. We’ll be watching developments related to this movie closely over the coming months. 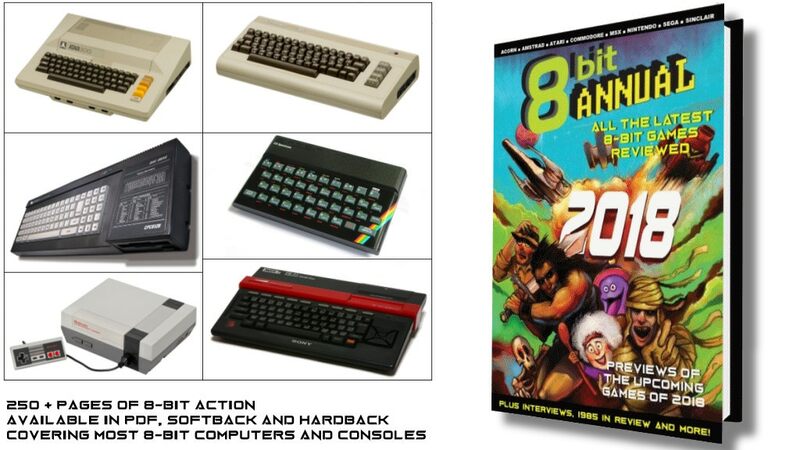 The 8-Bit Annual Kickstarter campaign is now live. In positive news, the campaign has already almost reached it’s goal with seven weeks to go. It promises a 250+ page edition with loads of news, reviews, interviews, and more. There’s numerous different backer tiers, with inclusions ranging from PDF, softcover, hardcover, advertising, and swag (of course). Hyperkin have announced the Ultra Game Boy at this year’s CES. Improving on Nintendo’s original this device will have a durable aluminium body, backlit LCD (with multiple backlight RGB colours selectable on the fly), a built in six hour battery, USB C charging, and stereo audio out. Assuming it can produce ‘proper Game Boy sound’, this sounds like the best ever Game Boy for chiptune musicians. With a projected price of ‘under $100 US’ , it’s not the cheapest way to get into original Game Boy gaming, but it looks like it will be a premium device that should fill it’s desired roles well. There’s no word on a solid release date or whether it’s running recreated original hardware, emulation, or is an FPGA implementation. On the topic of chiptunes and Game Boys, lo-fi producer Kubbi has a new album called Spiritdancer coming out in March. Check out the preview below – chilled and smooth beats abound! Double Dragon 4, already available on PlayStation 4, Windows, and Nintendo Switch, was recently released on iOS for the princely sum of zero dollars!. What is probably most notable about this release is that series creator Yoshihisa Kishimoto and many of the original team helped create this sequel. Toucharcade has a detailed rundown and review of the game, which gives it positives for its old school styling, but indicates the game seems held back by it’s NES inspired design (rather than that of the arcades) and fiddly platforming sections. 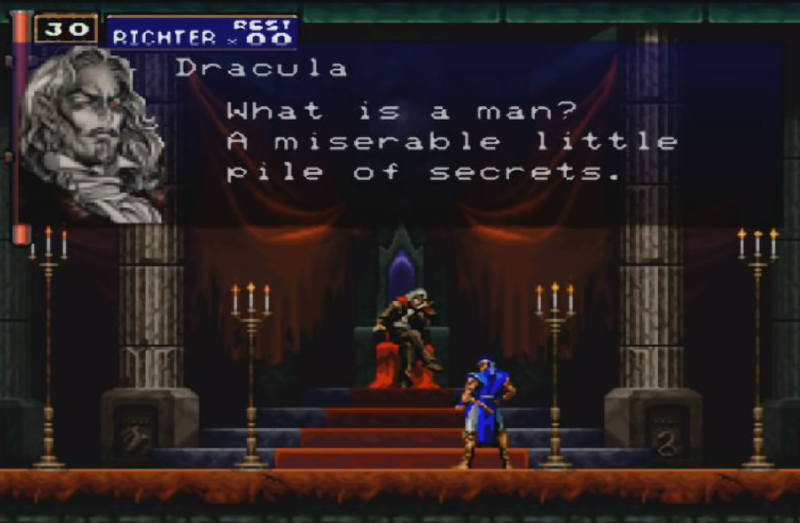 Finally for today, Kotaku has a published a loving retrospective about Castlevania: Symphony of the Night (PlayStation). As someone who has barely played it (and so long ago! ), this essay definitely makes me want to remedy the error of my ways as soon as possible. Enjoy!